Configure rules for add to cart products. 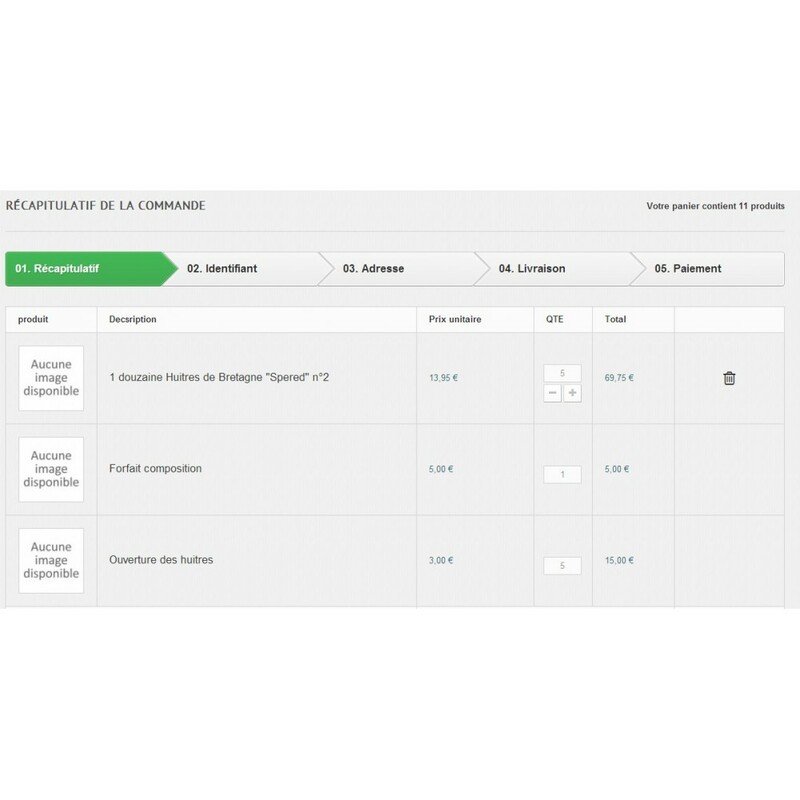 Like the promotions integrated in PrestaShop, you add products to the order. 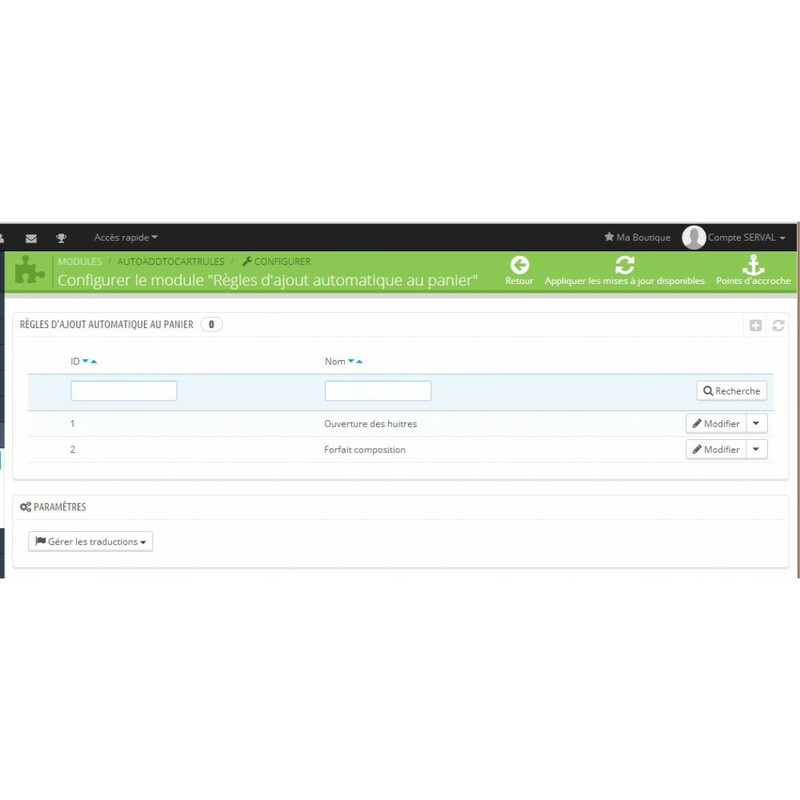 This module allows you to add products to cart automatically depending on the content. Consumer law prohibits the forced sale, the module is therefore usable for adding products / services or free gifts, not for an additional product fee. WARNING: consumption of Act of 17 March 2014 application to ensure the express consent of the consumer to any extra payment in addition to the price of the main object of the contract. The module does not provide consent. So you must provide your product so that your terms and conditions which must be validated during the online customer orders. Defined rules to add automatic products in your cart based on products or categories criterion. Automatically added product to cart can't be removed, the delete of products satisfying the rule automatically remove additional products. The module uses the actionCartSave hooks for adding products and displayShoppingCartFooter to hide the delete functionality of the product in the basket. Customers will have a detailed order with additional products on the order. 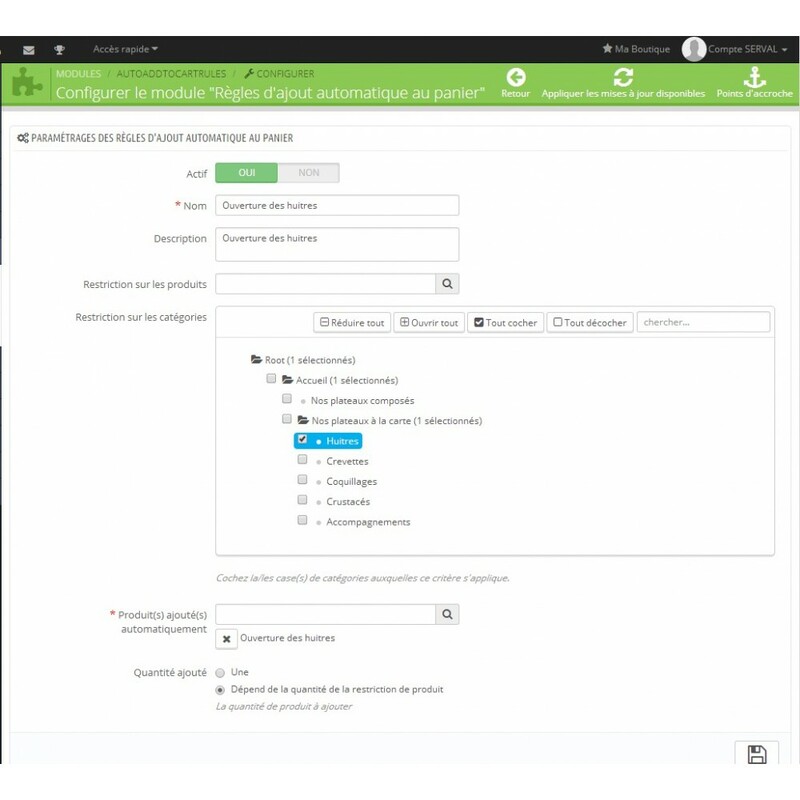 The module contains a BackOffice to manage your rules that you can enable or disable. The quantity field passes from radio to text in order to be able to define a quantity other than 1 or dependent on the rule.